Taranjeet Singh, who was elevated as Twitter's Country Director for India in May 2017, has decided to move on and Balaji Krish, Global Head of Revenue Operations and Strategy at Twitter will be the interim Country Lead, the company said on Wednesday. Over the next month, Singh will ensure a smooth transition to Krish who will be coming from the US to be interim country lead while Twitter searches for Singh's replacement in India. "Balaji has spent the past 5 years at Twitter building up his global function and has also previously worked for Google in India to engage with CMOs, brands and agencies," a Twitter spokesperson said in a statement. "We thank Taran for nearly four years of contributions and leadership to Twitter India. He built up our India sales team across the country and, most recently as our India country director, he led our cross-functional effort that has made India both one of our largest and fastest growing markets today," the spokesperson added. 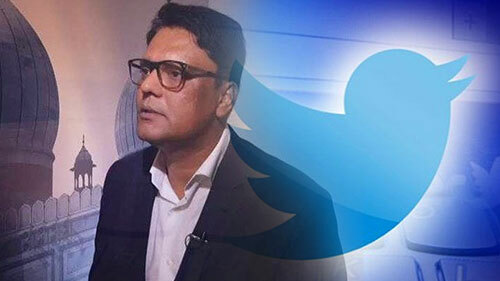 Under Singh's leadership, Twitter has seen strong business performance, a diversified client base and many innovations for Twitter across the country. According to Twitter, the long-term growth trends make India a top global priority for the company. Earlier, in a series of tweets late on Tuesday, Singh announced his resignation. "Hello everyone, after four amazing years, I have decided to move on from @TwitterIndia -- from being one of the first @Twitter employees in #India, to building up the sales team from the ground up, to leading our expansion and investments as the India Country Director," Singh tweeted. "India is one of our largest and fastest growing markets worldwide today. We have hired many Tweeps at @TwitterIndia, diversified our client base across the country and continue to be the pulse of Indian society," Singh added.